Innovation is top of mind for sales leaders and one way to find inspiration is to scope out strategies popularized by other industries and regions. However, strategies that work well for one industry or region, may not yield the same outcomes in other industries and regions. When it comes to the strategy of social selling, sales leaders are aware of the benefits, but assessing the potential in one’s own market has been unpredictable until now. Sales Navigator, LinkedIn’s social selling platform, empowers sales professionals to effectively target, understand, and engage their buyers. 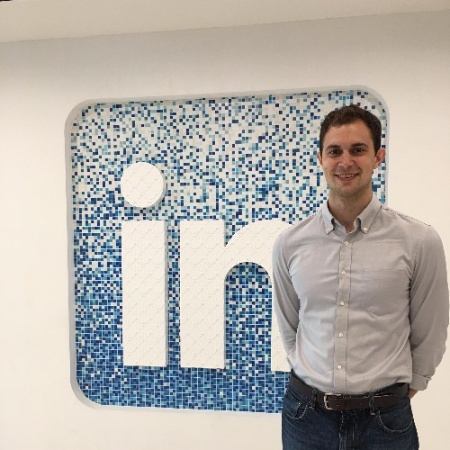 LinkedIn can now precisely measure the revenue influenced by Sales Navigator to its customers through a newly added CRM sync functionality. By grouping similar companies based on their markets and location, it is then possible to learn how the platform performs across different industries and regions. Out of fourteen industries analyzed, all of them show more than half of their revenue being influenced by Sales Navigator. It is not surprising to see tech industries driving value through the platform, but what is perhaps less expected are the equally strong results in non-tech industries, such as financial services or logistics & supply chain. 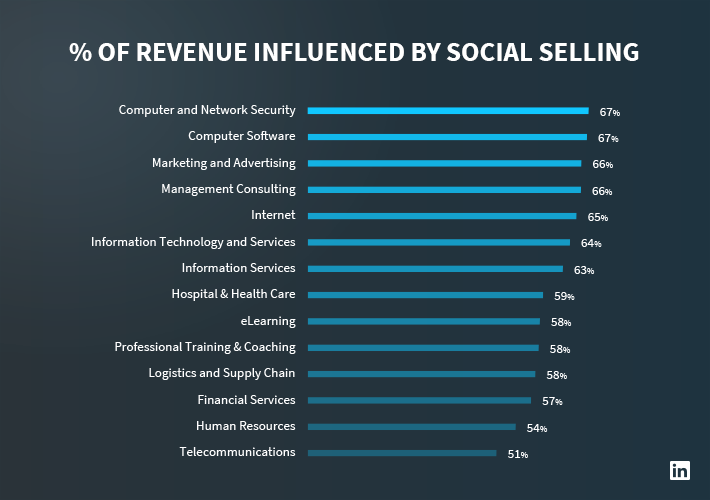 On average, companies across the fourteen industries have been on a social selling program for over a year. Given that implementing new sales practices effectively requires training and leadership reinforcement, a multi-year social selling plan may be necessary to attain significant revenue impact. 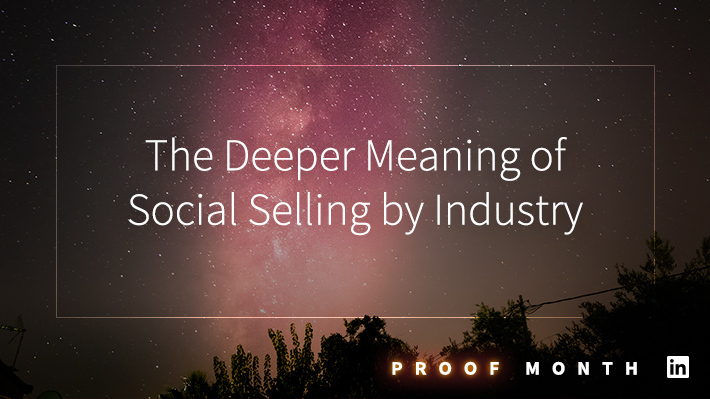 By knowing that their peers in the same industry are seeing strong results over a long-term investment, sales leaders now have evidence that social selling could work for their business. By region, NAMER, EMEA, and APAC companies are seeing 64.1%, 59.5%, and 46.6% of their revenue influenced, respectively. Despite the unique business practices across the globe, these results demonstrate Sales Navigator can still significantly impact revenue regardless of the region. These results strengthen the idea that deploying Sales Navigator across regions can usher in a successful global program. Over the last few years, several qualitative studies have showcased the value of social selling. This year’s research from SalesforLife states that social sellers gain 57% higher return on investment from social selling compared to a 23% return using traditional tactics. We now have quantitative results that social selling significantly impacts business outcomes. Regardless of region or industry, sellers on Sales Navigator see more than half of their revenue associated to deals with social selling actions. When those deals are influenced by Sales Navigator, win-rate and deal size increase by 5% and 35%, respectively. These findings demonstrate that a social selling program deployed globally across any industry has the potential to be highly impactful. Ready to correlate your team’s sales activities with revenue? Download our new eBook, Proof Positive: How to Easily Measure and Maximize Sales ROI to learn how.